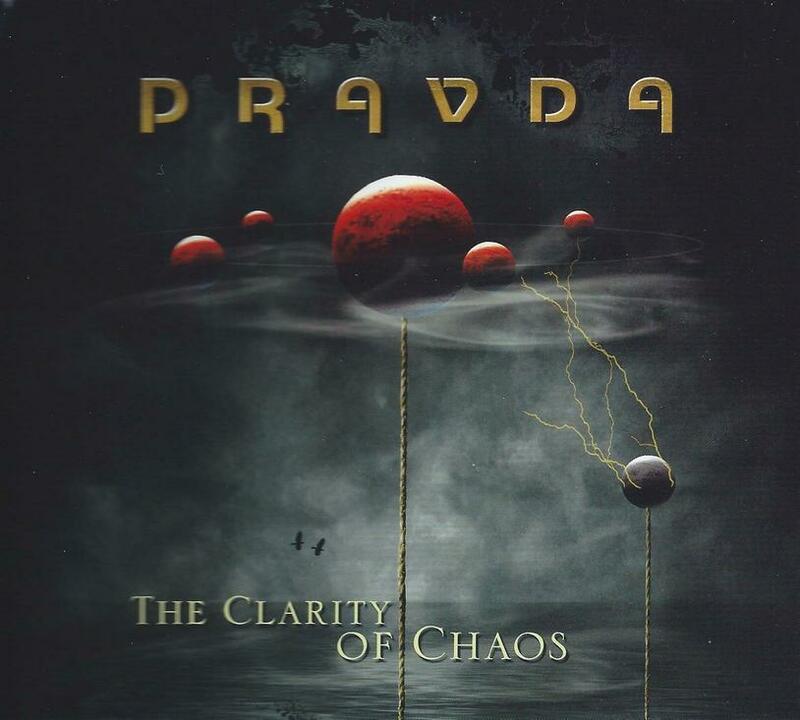 On the surface, Boise, Idaho’s Pravda would appear to be just another neo prog/prog metal band. But dig just a little past the surface and there is far more to be revealed. The Clarity of Chaos is the band’s 4th album to date, and is a concept album (naturally) about our mortality and our short time here on Earth. Formed in the early 2000’s by veteran musicians, the band has had several line-up changes since then, with the current line-up consisting of Dave Thomas on drums, percussion and vocals; John Redfield on guitars, bass and vocals and KC Thomsen on synths, piano, Hammond organ and vocals. Tom Savanoe also joins them on bass when the band plays live. What differentiates Pravda from many of their peers is their penchant for combining both new and older styles of prog rock into their sound. At one moment they can be sounding like Dream Theater or Spock’s Beard, the next like Yes or Pink Floyd. The 14-minute opening track, Second Hand, is an excellent example. Careening rapidly between weird spaced out sections, dexterous vocal and instrumental workouts, strumming acoustic guitars and gorgeous vocal melodies, it all surrounds a dreamy, melodic ‘song within the song’, a soft core with a crunchy shell. Some rousing fretwork from Redfield propels the song in its later half towards its conclusion (but not without a few more surprises before it’s over!). The 9-minute Colors of the Moon is perhaps my favourite track on the album. With Middle Eastern percussion and melodies, mysterious undercurrents, pulsing electronics, a gorgeous, soaring chorus and a lovely piano coda, it combines progressive rock with a heady dose of psychedelia. Fall Across the Sky seems, as it starts, to be a more straight-forward prog metal piece, but a couple of minutes in suddenly breaks out into a weird (in a good way) Pink Floyd pastiche, combining styles from both Dark Side of the Moon and Wish You Were Here, before slipping into some melodic piano balladry, before returning to its prog metal roots (effectively two songs within a song!). The 12 1/2-minute Clarity & Chaos, has some of the most intense playing on the album, but like the other tracks, also has its passages of tuneful mellowness and strange atmospherics (including a spooky spoken word part in the middle). Things do unfortunately get a little tired as the album winds towards its conclusion (the first 4 tracks would have made two great sides of a vinyl release!). The final two songs, A Hint of Grey and A Brief Awakening don’t really bring anything new to the table. And then there’s the bizarre ‘hidden’ track, a seemingly truncated (on both ends!) version of Colors of the Moon that comes some 7-minutes after the last song ends and has a bit poorer sound quality than the earlier version. I’m not sure what this is. An alternate take? An error in the pressing? A joke? Who knows? If it was intentional, it’s completely unnecessary. Despite a few minor missteps towards the end, the majority of The Clarity of Chaos is some very strong, inventive and highly listenable progressive rock, with so many influences, it’s fun just to listen to see how many you can pick out. It’s extremely well played from all corners, with some truly exhilarating passages where the musicians push their abilities on their respective instruments to the extreme, without ever getting show-offy. If you’ve grown somewhat tired of a lot of the samey sounding neo prog and prog metal bands out there, give this one a listen. You might be surprised.